If you always wanted to know how to survive the end of the world, it might pay to visit Xavier Michelides’ new show. 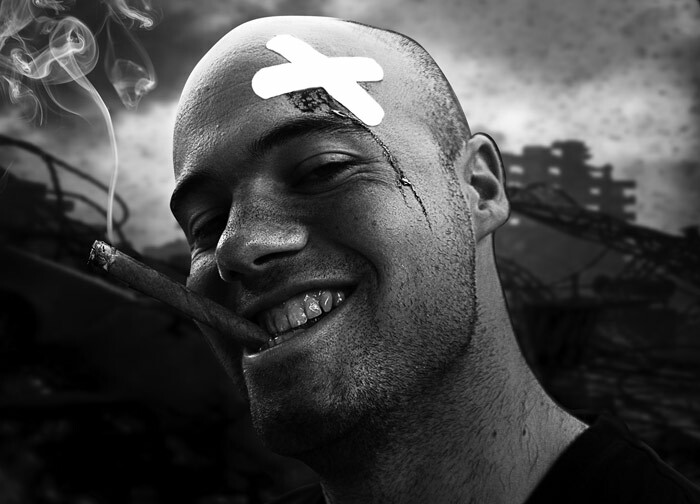 The 27 year old stand up comedian is performing his one man comedy show, The Post Apocalyptic Users’ Guide at the Melbourne Fringe Festival. “I’ve been obsessed with the apocalypse for a long time and have come up with a lot of ideas of how I would survive a lot of the different end of the world scenarios,” he says. Originally from Adelaide, Michelides has worked as a stand-up comedian for the past six years. Since winning the Western Australia Raw Comedy Award in 2001, he has performed across the club scene and the corporate circuit in both Western Australia and Melbourne. In 2006, he received critical acclaim for his performance in the Melbourne International Comedy Festival show, The Dead Set, where he performed alongside Clair Hooper (now on Channel 10’s Good News Week). In the same year, he was also named the National Theatresports Championships’ fairest and best. He also managed to score a gig on Rove two weeks ago. Now in his sixth year of performing at the Fringe Festival, it is hard to believe that he has had no formal training. Being half Greek, half Irish, Michelides describes himself as having Greek looks with an Irish sense of humour. Michelides will also perform a second show, Passion of Crime at the Melbourne Fringe Festival. Performing alongside Dave Bushell, the pair will take a look at how many anonymous nerdcore blog entries it takes before you become a killer, how drugs can be dealt conscientiously, and why well-educated middle-class twenty-somethings have a more unique understanding on the socio-economic causes of crime than anyone else. The Post Apocalyptic Users’ Guide is on at the Festival Hub – The Loft, Lithuanian Club until October 7. Passion of Crime will play at the same venue between October 8 and October 10.